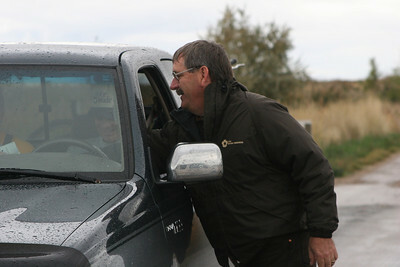 Randy Wood is working a check station during a hunting season. Photo was taken 10-7-06 by Phil Douglass, Utah Division of Wildlife Resources. 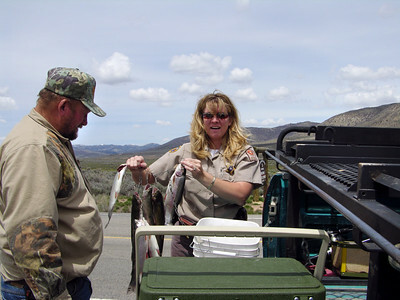 Utah Division of Wildlife Resources Technician Roas Hoban (closest to the camera) and Starla Burton with the National Park Service examine a personal watercraft for mussels. 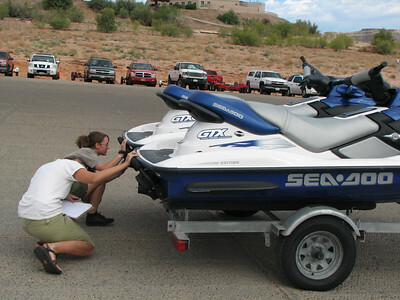 This photo was taken at the Wahweap Marina at Lake Powell. 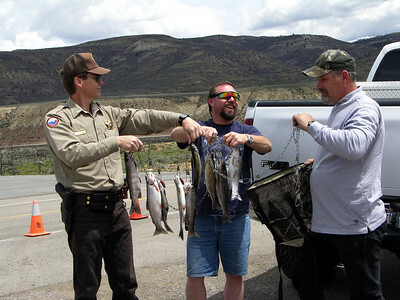 Photo by Wayne Gustaveson, Utah Division of Wildlife Resources. 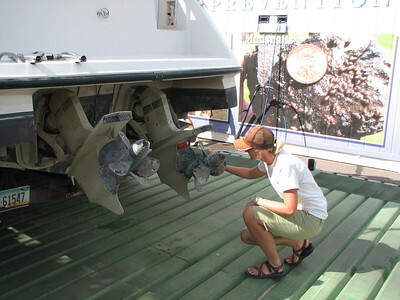 Utah Division of Wildlife Resources Technician Roas Hoban examines a boat for mussels. This photo was taken at the Wahweap Marina at Lake Powell. 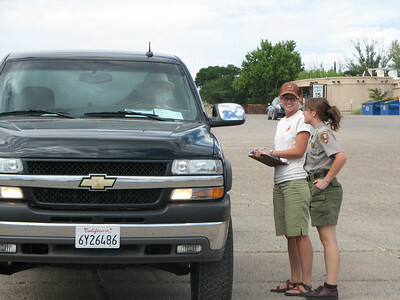 Photo by Wayne Gustaveson, Utah Division of Wildlife Resources on 8-12-08. 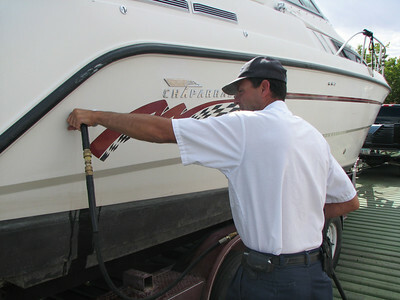 After cleaning the exterior of this boat, Wahweap Marina employee Kemp Wilson sends scalding hot water into a port that leads to the boatÕs engine and bilge. Before coming to Lake Powell, this boat had been on Lake Pleasant, a mussel-infested water in Arizona. Photo by Wayne Gustaveson, Utah Division of Wildlife Resources on 8-12-08.